Did you know that one of the leading causes of diabetes worldwide is the extra fat that is stored in your stomach and is literally suffocating many of your vital organs? Both a genetic and developed disease (that is, a lifestyle disease), diabetes is a condition that is a direct result of the body’s inability to control a healthy sugar level. In fact, the main reason for the occurrence of diabetes is due to the failure of insulin production. Having extra fat, namely visceral fat, in the stomach region of the body produces a discharge of unhealthy elements that are a direct correlation between system inflammation and a metabolic breakdown. During the onset of diabetes, the first sign of the hazardous disease is referred to as insulin resistance. When insulin resistance occurs it does so because of the body’s decreased awareness of insulin cells. What happens is the body produces lots of insulin but the cells that register the insulin no longer register the insulin. So the body is forced to make more insulin. Eventually what happens is that the pancreas falters and then stops producing insulin. Body composition is the link to diabetes. Having fat on the arms and legs for example is not associated with a risk of diabetes. Having fat in the abdomen is however. The link between diabetes and excess visceral fat is so definite that it has been scientifically proven in terms of an abdomen’s diameter. 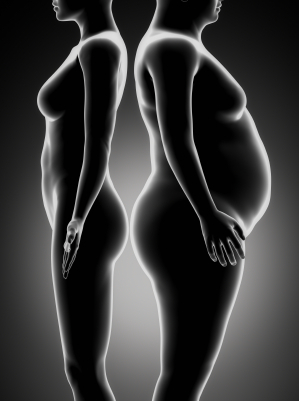 Men that exceed a stomach radius of 102 cm and women passing 88 cm are at a much greater risk of developing the disease than those individuals that have a proportionate body composition. Because visceral fat can directly result in a body’s lack of insulin production, it is crucial to the body’s health and longevity to maintain a healthy lifestyle and be aware of what is happening around the waistline. An incredibly accurate way to measure the fat in the waistline is to get a Dexa scan at Body Measure, Sydney’s experts in body composition measurement. Fortunately, through a healthy diet, fish oil intake and regular exercise, the visceral fat throughout the stomach and body can be reduced to healthy levels. Without question, one of the best preventative maintenance options for you and your visceral fat is to come to Body Measure in Crow’s Nest, Sydney and get it measured with a Dexa Scan. And learn how to decrease visceral fat, if you are found to have unhealthy levels.